Wireless computer networks can make life so much easier, but only if they are working correctly, quickly, and safely. 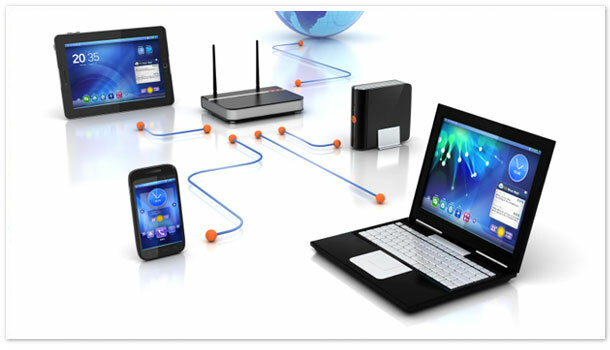 A wireless network by Livewire will meet or exceed your specifications for reliability, speed, and security. We start by surveying your site and identifying the best access points for complete coverage of your office space with the least signal interference. Then we install all the compatible cabling and hardware components. Depending on your security preferences, we then set up WEP, WAP or RADIUS security on your wireless network. Whether you will have just a few wireless users, or want to take your offices completely wireless, contact Livewire today. We design and install wireless networks to be convenient, reliable, and scalable to your future needs.